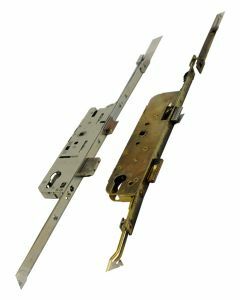 Roto Replacement Multipoint Door Locking Mechanisms and Roto MVD340 Or Roto MVD400 Centre Section Locks To Repair UPVC And Composite Doors. Roto multipoint door locks are still available for Upvc doors. At one time the Roto Upvc door lock was to be found on Upvc doors from many of the largest manufacturers. Roto multi-point door locks are still produced today in many variations. Due to their age many of the earlier Roto lock gears have been discontinued, such as the Roto centre section door locks however we have produced both the Roto MVD340 & also the Roto MVD400 direct replacement centre retro fit locks . 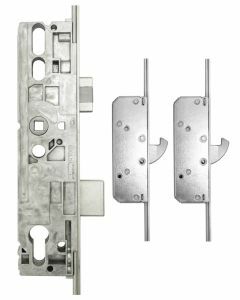 You will find on our pages options of available parts to help you repair old Upvc doors which use Roto multipoint door locks.